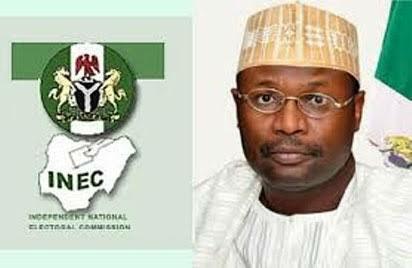 The Independent National Electoral Commission (INEC) says it will not postpone the 2019 elections because of the delay in the passage of its budget. INEC Chairman, Prof. Mahmood Yakubu, made the clarifications while fielding questions from State House correspondents on Friday in Abuja. He said that there was no provision under the law for postponement of elections. “I have said this over and over again; there are no conditions under which elections should be postponed, under section 26 of the Electoral Act. “The date is formed and fixed, February 16, 2019; we issued the timetable way in advance; for the very first time in the history of our nation, citizens of Nigeria know when elections will take place one year in advance. It has never happened before. “Secondly, for the very first time in the history of our country, citizens know the budget of the electoral commission; citizens know line by line how much the commission proposed; what the money is going to be spent on. He said that as provided in the constitution, INEC had, since April 27, 2017, been registering voters consistently in response to appeal by Nigerians. Yakubu said that INEC had created more centres for the registration but finally decided that it should suspend the process as provided for by the law, six months to the elections. He said however that in response to appeal by Nigerians, again, INEC extended the exercise to the end of August. “As at Saturday last week- Aug. 11- we have registered 12.1 million citizens; this will eventually be added to the 70 million voters that are already registered for the 2019 general elections. “We have voters register of over 80 million citizens. “Let me make this very important clarification; the registration is going to take place between 9am in the morning and 5pm daily including weekends but excluding the public holiday. You know Tuesday and Wednesday next week have been declared public holiday. “The second important clarification that I should make is that the end of the continuous voters’ registration is Aug. 31 but that does not mean the end of the collection of Permanent Voter Cards (PVCs). “Collection of PVCs will continue until at least one week to the general election in February 2019,’’ he said. The INEC boss said he was not worried that the virement for the conduct of 2019 election was still before the National Assembly as he remained optimistic. He said he had made the clarifications that the National Assembly asked for; adding the two committees on INEC expressed satisfaction on his clarifications. He said he looked forward to hearing what the National Assembly would say. Yakubu said that Nigerians needed to know that what the commission requested for was N189.2 billion which the executive proposed to the National Assembly. According to him, there are no discrepancies in the figures. He said he was in the Presidential villa to fine-tune modalities on how Nigeria would help Guinea-Bissau in its forthcoming elections as the country had requested Nigeria’s assistance.